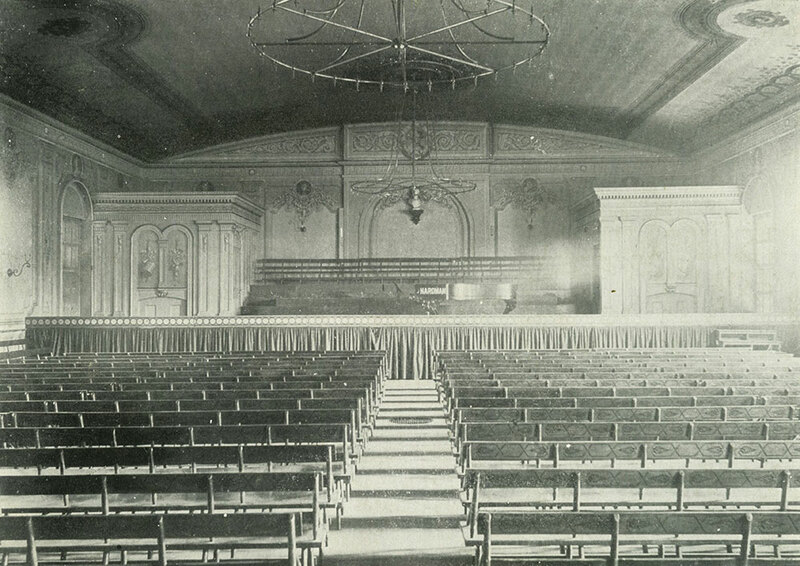 View of the interior of the hall, which was the largest musical auditorium when it was converted from being the First Presbyarian Church in 1820 by noted architect William Strickland. As well as a venue for great musical performances, it was here in 1856 the Republican National Convention convened. Great authors gave lectures here, notably Charles Dickens (in 1842) and William Makepeace Thackery (in 1853, and 1856). When the Academy of Music opened in 1856 the Hall was supplanted as the major venue for concerts and lectures. The building has since been converted into condominiums.